Warn your foes of the savagery they are about to face with the fearsome design of the Savage Warrior Leather Armour. This medium weight leather chest piece uses a plated design for excellent protection without restriction of movement. 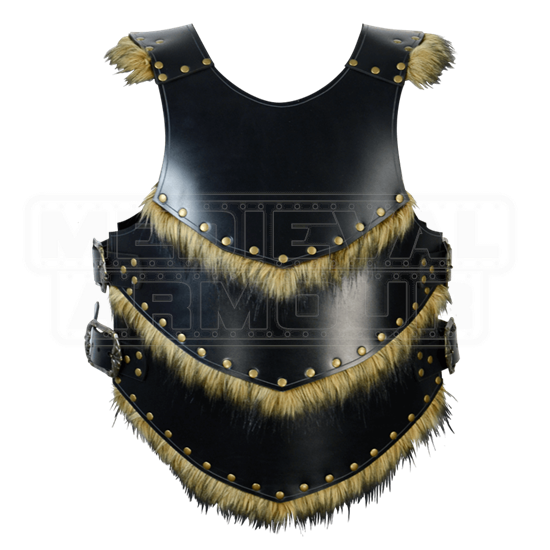 Faux fur trim is featured throughout this design, providing an intimidating look to set you apart in battle. Both the leather and trim are available in a variety of colors, allowing for exceptional customization to match your other combat gear. It is constructed from medium weight 7/8 ounce leather with antique brass hardware. Adjustable leather straps provide a snug and comfortable fit. 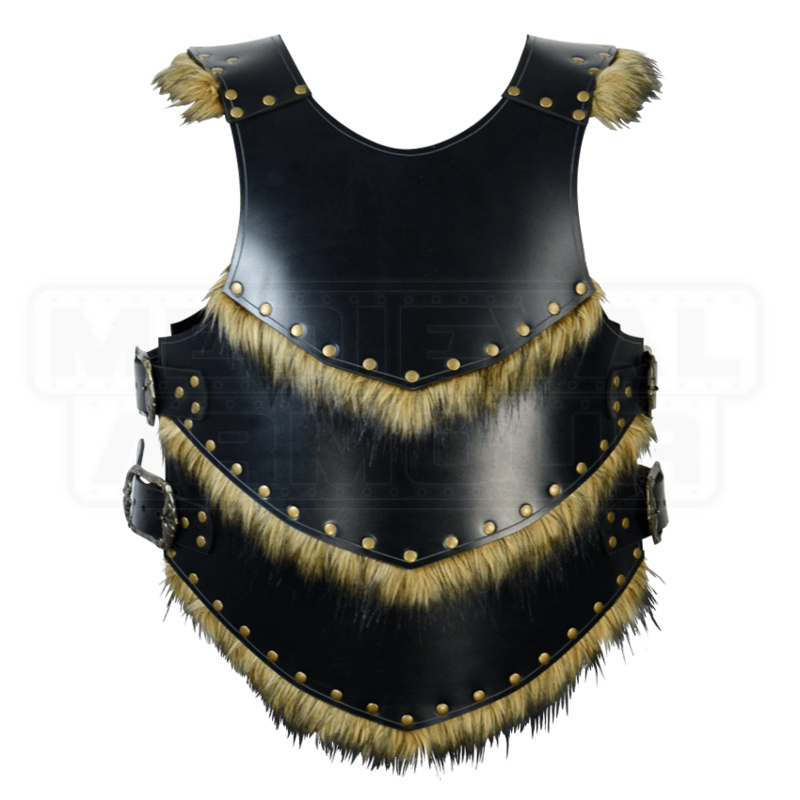 Pair the intimidating style of the Savage Warrior Leather Armour with the matching Savage Warrior Leather Tassets (DK5255) for a stunning and ferocious look.